A home security system is a good feature for a Queen Creek rental home. For the security-conscious renter, a residence complete with cameras or alarms can offer a peace of mind that other rental homes don’t have. At the same time, however, a home security system does have a few drawbacks. Before making the choice to place security cameras, it’s essential to study the advantages and disadvantages involved. One of the biggest benefits of security cameras is the added sense of security that they bring to your rental property, tenants, and their belongings. Today, there is a myriad of security systems available, many of which integrate cameras along with alarms and professional monitoring. Particularly in areas where crime rates are high or vandalism is a problem, security cameras can act as both a deterrent as well as provide critical evidence in the event of a crime. In these places, setting up security cameras might be worth the cost. The additional security they give allows you to compensate for the cost by increasing the rent. Among the top disadvantages of setting up a rental home with security cameras is the expense you have to spend upfront. Security cameras can be quite expensive, and unless you’re confident that your particular circumstances can regain the investment cost, it might not be a wise decision for you. However, with the recent advances in home security systems, we now have access to smaller and more affordable devices that offer the same benefits as a full-fledged security camera system without the large expense and professional installation. 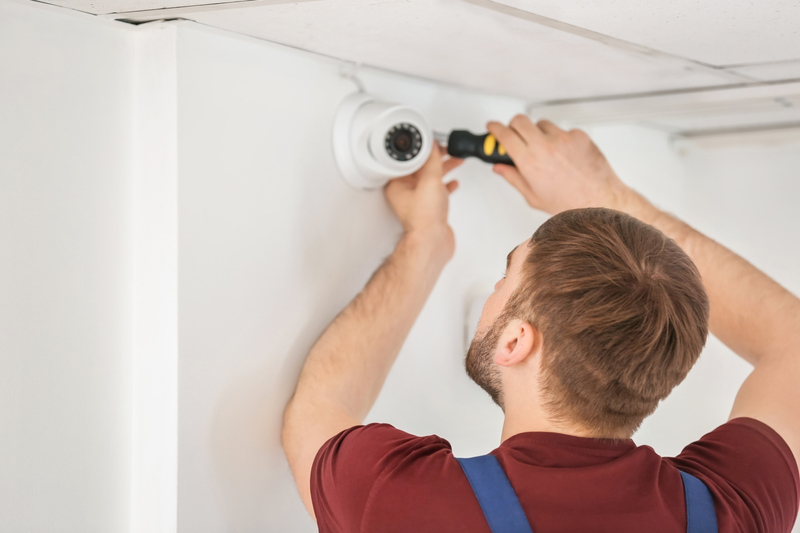 Instead of installing and connecting the security cameras yourself, you may leave it up to your tenants to invest in those devices themselves. It is necessary to understand both the benefits and drawbacks before making a decision on installing security cameras in your Queen Creek rental homes. Only then will you know if your money was well spent. The good news is that the expertise of Real Property Management East Valley is available for you to use. We can provide the needed experience and information so you can make an informed decision, making sure that each rental home includes the features requested by your renters while keeping your expenses low. Feel free to contact us online or by phone at 480-981-7000. We’ll be glad to answer any of your questions.